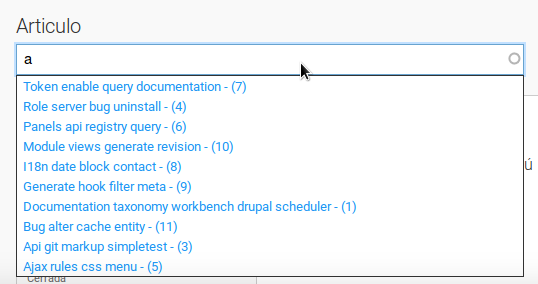 I'll like to add this functionality to the autocomplete widget in Entityreference field to show node ID next to the titles in the dropdown list. The reason behind the idea is to differentiate between multiple nodes with same title. 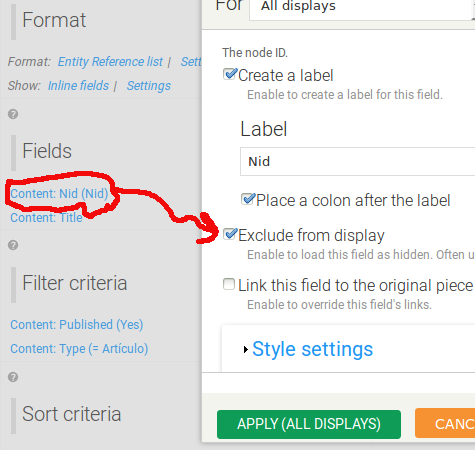 I know the node ID is shown once a selection is made but I like to show it in the dropdown list in order to pick the right node quickly based on the node ID. 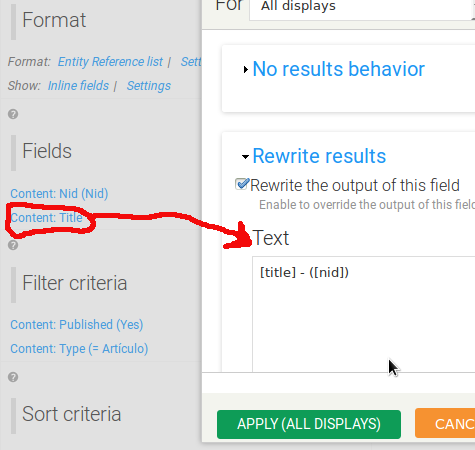 Go to edit the settings of the format and check the title, this will allow you to search by title. EDIT: This is now working in Drupal 8, at least in the version 8.3.4. OMG, I always wondered what the views option was for. This is filthy!!! @NoSssweat I'm learning english now, can you provide me a synonym of filthy please? I can't understand the phrase "This is filthy"
Synonym: Dirty. I used it as an expression, should be taken figuratively and not literally. @NoSssweat Then is a bad solution? 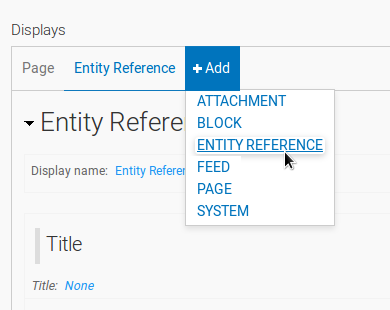 The only problem with this solution, is that the entity reference field, once selected, shows the ID twice in the entity edit form, because it is included by default once it is selected. Does anyone know if this works for the user entity as well. No matter how I seem to set it up it always displays the email address (user) and not firstname / lastname from the associated user entity. Great walk through btw! @armyofda12mnkeys I really don't know, I'm not working with this feature now. The function entityreference_autocomplete_callback_get_matches determines what the output of the autocomplete should be. // The user enters a comma-separated list of tags. We only autocomplete the last tag. // The user enters a single tag. // Get an array of matching entities. // Loop through the products and convert them into autocomplete output. // Strip things like starting/trailing white spaces, line breaks and tags. // Names containing commas or quotes must be wrapped in quotes. 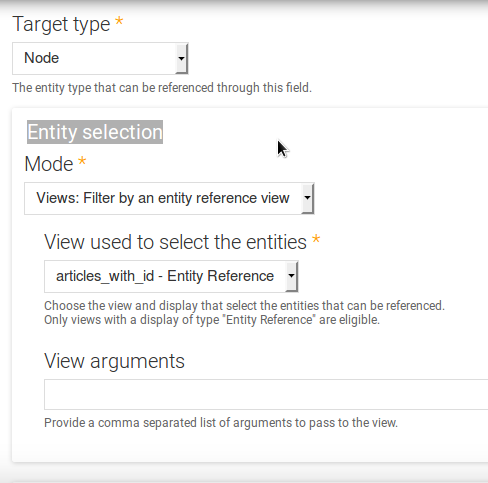 you can use $entity_id to fetch other fields and anything you want. Some times it is not a good idea to change the function of the core module (if it is not important to you the above solution is enough). //  to make sure we recover the intended $string. 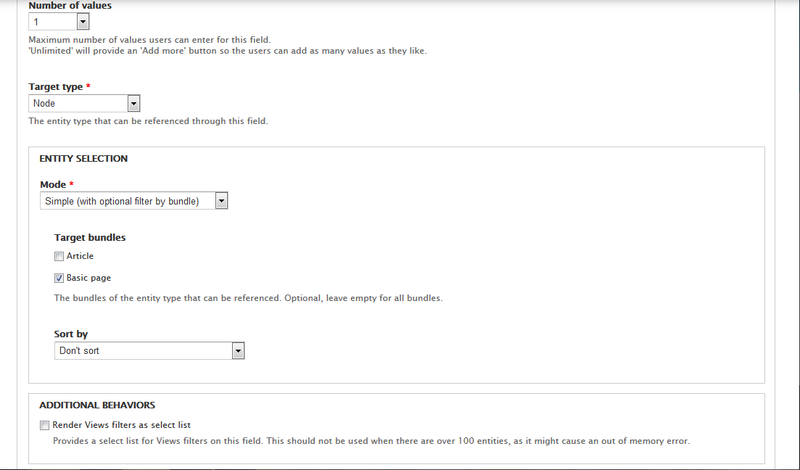 // Shift off the $type, $field_name, $entity_type, $bundle_name, and $entity_id args. I tried this code and it works perfectly If there are other type of entity references and you don't need to do this for them, simply add an IF statement and check for bundle or content type. [SOLVED] Entity reference item list with preview images? 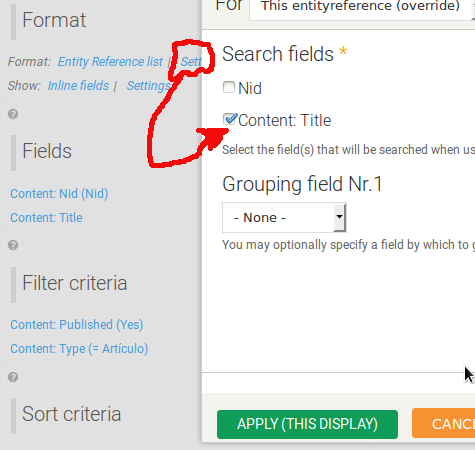 [SOLVED] How repeating field values ​​in "EntityReference select list widget" as I would with "autocomplete widget"
[SOLVED] Autopopulate a different field if node reference autocomplete doesn't have a matching candidate?